Ryan Newman has joined the list of entered drivers for Thursday night's "J.D. 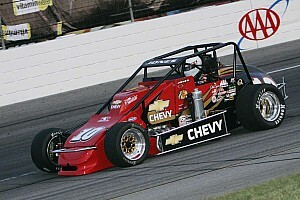 Byrider" Rich Vogler Classic at Lucas Oil Raceway at Indianapolis. Newman (in photo from a previous race), USAC's 1999 Silver Crown series champion, returns to the series for the first time since his 2011 appearance at LOR in which he finished eighth. He will pilot one of two entries for car owner Bowman Racing of Brownsburg, Ind. 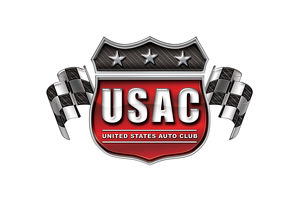 and will team with Tanner Swanson, the winner of USAC's last two Silver Crown races at the .686-mile paved oval. In 2010 Newman qualified for a front-row berth at LOR and led the opening lap but retired after 58 laps due to handling problems. 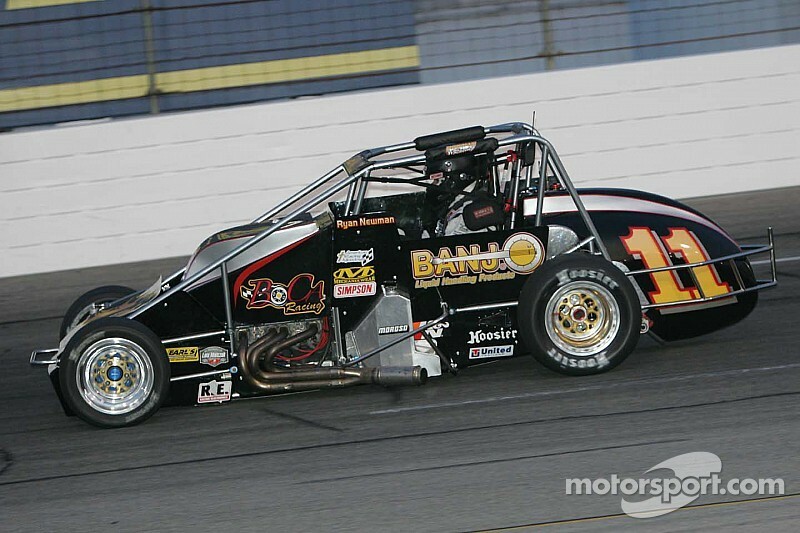 His USAC career at the track includes five victories in Midgets (1997-1999) and one in the Silver Crown machines (1999). He was the 1999 series champion and three years earlier had been named the series "Rookie of the Year." The "J.D. Byrider 100" this year salutes the career of the late Rich Vogler, who amassed more USAC victories than any driver in history. Thursday's 100-lap race is the fifth in the 2014 Silver Crown series presented by TRAXXAS. Tanner Swanson (LOR) and Bobby Santos (Madison, Ill.) have earned pavement Silver crown victories so far this year.